The outpouring of emotion following the death of Nelson Mandela was global, but those in South Africa, which was remade in his image, celebrate him in ways that would be hard for anyone who did not live in South Africa to fully comprehend. When Mandela received the honor of the Freedom of the City in 1997, Mandela expressed his feeling for Cape Town. Mayor de Lille, whom Mandela called his favorite opposition politician, spoke at the interfaith service in honor of Mandela, saying, “Here we stand, in solidarity and in remembrance. We stand as witnesses to the passing of a man but the rebirth of his spirit. In truth, Madiba has been absent from public life for some time. 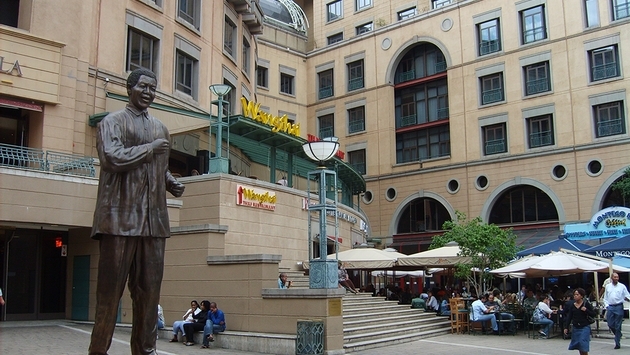 The tourism industry acknowledged its special debt to Mandela in the days following his death. Those in tourism in South Africa know that they could not possibly be doing what they are doing if it had not been for Mandela. Thulani Nzima, CEO of South African Tourism, said, “Nelson Mandela single-handedly put South Africa on the map for billions of people around the world. Travel anywhere and say you are from South Africa and without a doubt the first word people will utter is ‘Mandela’. "This is because he is not only a hero for all South Africans, forever changing the course of our combined history, but also because his incredible leadership ability, compassion and vision made him a hero for the whole world, earning him iconic status in every country on earth. Mandela opened up our beautiful country, once a pariah state, to the rest of the world and his name alone has attracted millions of tourists to South Africa every year, wanting to walk in his footsteps. In a statement Monwabisi Kalawe, the CEO of the South African Airways Group, said, “Tata Mandela is the father of nations, a revered global icon, a revolutionary, a diplomat, a former president and a beacon of greatness that is celebrated all across the world.